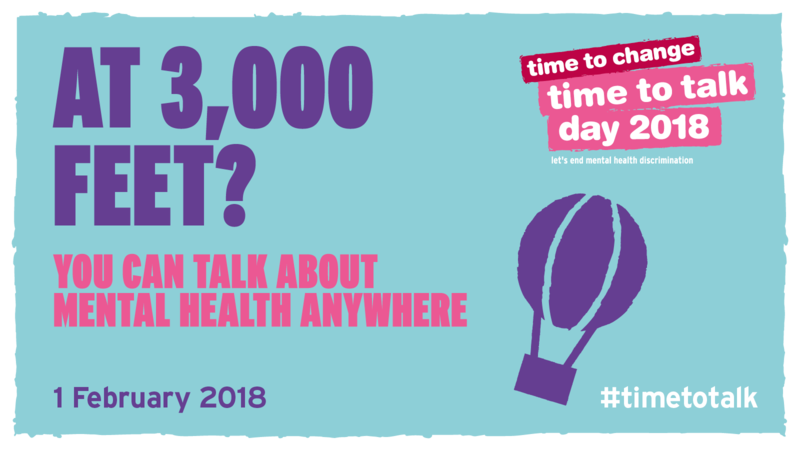 This Thursday, 1 February, is #TimeToTalk Day. The day is all about opening a conversation: this may be with someone who may need support; it could be to help raise general awareness of mental health issues; or it may be to help people be more sensitive and caring towards each other. I hope you join in – no special skills or resources are required, just be yourself and talk to someone. You may be pleasantly surprised at what happens. This post is dedicated to the memory of my Mum, who died nine years ago this week, on 15th May 2008. This Sunday was celebrated in many countries around the world as Mothers’ Day, although not here in the UK, as we mark the occasion on the fourth Sunday in Lent, which in effect means we do it in March. I’m rather grateful for this, as it would be too poignant a memory for me if we were celebrating around the time of Mum’s passing. It is also a poignant time of year for another reason, and so I’ve decided to rework and update a post I originally wrote in 2013. As you’ve probably guessed from the rather large clue in the dedication for this post, I have first hand experience of a loved one with dementia. Mum lived an independent life for many years but there came that awful time when we realised that she needed round the clock support, the kind that can only be given in a nursing home. The one we found was a good one and they looked after Mum very well, even when she was shouting that they were trying to murder her when they put her in the hoist to get her out of bed! But in her last year her decline from dementia was noticeable – she still recognised my sister and me when we visited her until the very late stages of her life, and could hold a perfectly sensible conversation for quite a while. But over time she became less able to converse, and the standard symptoms of memory loss began to show. She was taken into hospital as she wasn’t feeding well, and they told us that there was nothing they could really do for her. In effect, her dementia had affected her brain’s working so much that it wasn’t telling her body how to function – it had ‘forgotten’ how to eat and drink, so Mum had to be given this via a drip. Within a week of being discharged back to the nursing home she slipped peacefully away. 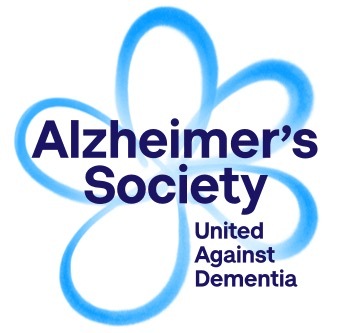 I’m telling you this partly, I suspect, because it helps me to set it down – especially this close to the anniversary – but because I know what the Alzheimer’s Society means when it talks about how the illness can affect others, not just the sufferer. It isn’t a preventable disease in the sense that medicine will stop it taking hold, but there are ways to live with it and enjoy a satisfying life. But you need to be ready, and you need to be aware. That’s why I’m supporting Dementia Awareness Week, and hope that you will too. If you want to find out more, the Alzheimer’s Society’s dedicated page has all that you need to know about the week. 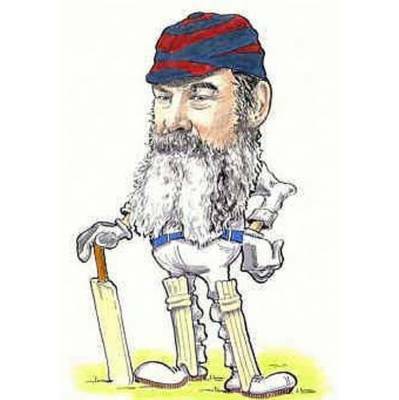 Their site also has links to some very helpful literature for downloading – there is a wealth of useful information here, though you may have to search! They also tell you about the various ways you can get involved, either by organising or taking part in events or by uniting with someone against dementia and posting your picture on their wall. As is my usual custom with my Dates To Note pieces if I’m giving you the link to the NHS website for more information. It is well worth a look if you want to find out more about this pernicious disease. If you know someone you fear may be suffering but has not yet been diagnosed, this would be a good time to follow up on the advice I’ve linked you to. Only about 45% of sufferers are diagnosed and treated appropriately, and even though the Government has recognised the need to do more they have yet to demonstrate any real commitment to doing something about it. Maybe, once the dust has settled on our election, they will take some real, much needed action – but I’m not holding my breath. Be aware. Get involved. Please.